Bruges is a Dementia Friendly Community that is pioneering novel ways to actively engage not only persons living with dementia, but also their caregivers. 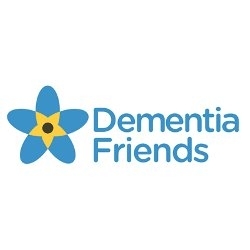 The Belgian city of Bruges is being recognized as a pioneer Dementia Friendly Community. Across Bruges' city center, shop proprietors have installed dementia friendly symbols in their shop fronts, a clear recognizable symbol to those with a diagnosis of the disease that there are safe havens where dementia sufferers can seek assistance. Police and social workers are fully engaged in the city wide effort. The entire city is to be congratulated for recognizing the needs of families touched by dementia and by developing tools that will allow persons living with dementia to continue to live their lives. Why do I get the feeling that tourism to Bruges is going to pick up?